In a trademark opposition trial to seek cancellation of TM registration no. 6028674, the Opposition Board of Japan Patent Office (JPO) dismissed the opposition claimed by Kangol Limited, an English clothing company famous for its head wear, because of dissimilarity between hairbands and head wear. 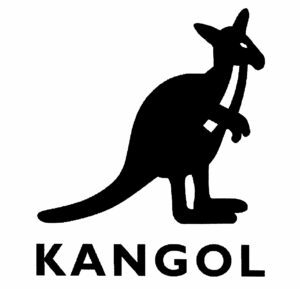 Opposed mark, consisting of the word “KANGOL” and a kangaroo device (see below), was filed in the name of Crown Creative Co., Ltd., a Japanese business entity on June 23, 2017, and admitted registration on March 16, 2018 over the goods of hairbands and others in class 25. It is doubtless opposed mark exactly looks the same with the KANGOL trademark owned by Kangol Limited. On June 11, 2018, Kangol Limited filed an opposition based on its-own senior TM registration no. 5036704 for the Kangol mark (see below) over the goods of head wear, helmets, night caps and hoods in class 25. In the opposition brief, Kangol asserted opposed mark shall be cancelled in violation of Article 4(1)(xi) of the Japan Trademark Law. Since the marks of the respective parties are identical, Kangol focused on arguing the designated goods, inter alia hairbands, of opposed mark is similar to hear wear. Trademark Examination Guidelines (TEG) [Part III Chapter 10: Article 4(1)(xi)] set forth criteria to determine similarity of goods. In principle, similarity of goods is evaluated whether or not the relevant goods are likely to cause confusion as if they are goods manufactured and sold by the same business entity, when an identical or similar trademark is used for the designated goods of the trademark as applied and the cited trademark due to circumstances such that normally the goods are manufactured and sold by the same business entity. To assess the similarity of goods, the following criteria are comprehensively taken into consideration. (i) Whether both goods are produced by the same suppliers. (ii) Whether both goods are distributed through the same sales channel. (iii) Whether both goods are made from the same materials and achieve the same quality. (iv) Whether both goods are for the same usage. (v) Whether both goods are purchased by the same consumers. (vi) Whether respective goods constitutes finished goods or a component of other goods. It is true that both goods are used for many purposes and can be made from various kinds of materials. Hairbands are used for cold protection or decoration just like with head wear. Some of hairbands and head wear use cloth or rubber as a material. However, suppliers, sales channel, consumers, usage and materials of both goods are substantially different in general. If so, relevant consumers and traders are unlikely to conceive both goods with the Kangol mark would come from the same source. Accordingly, JPO decided opposed mark shall not be subject to Article 4(1)(xi) and valid as a status quo. 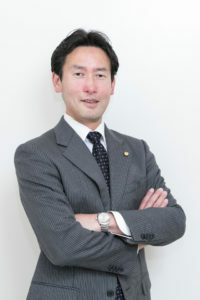 Posted on 2019年1月27日 by Masaki MIKAMI in Article 4(1)(xi), Opposition, similarity of goods and tagged Article 4(1)(xi), KANGOL, similarity of goods, trademark opposition.